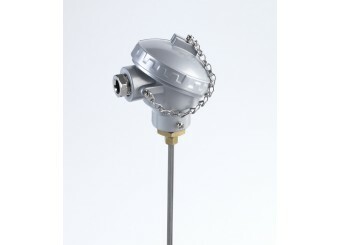 A complete temperature sensor assembly comprising of a stainless steel probe and an IP67 aluminium connecting head which has sufficient space for inclusion of a circular 2-wire transmitter. (N.B. the transmitter must be ordered separately if required.) 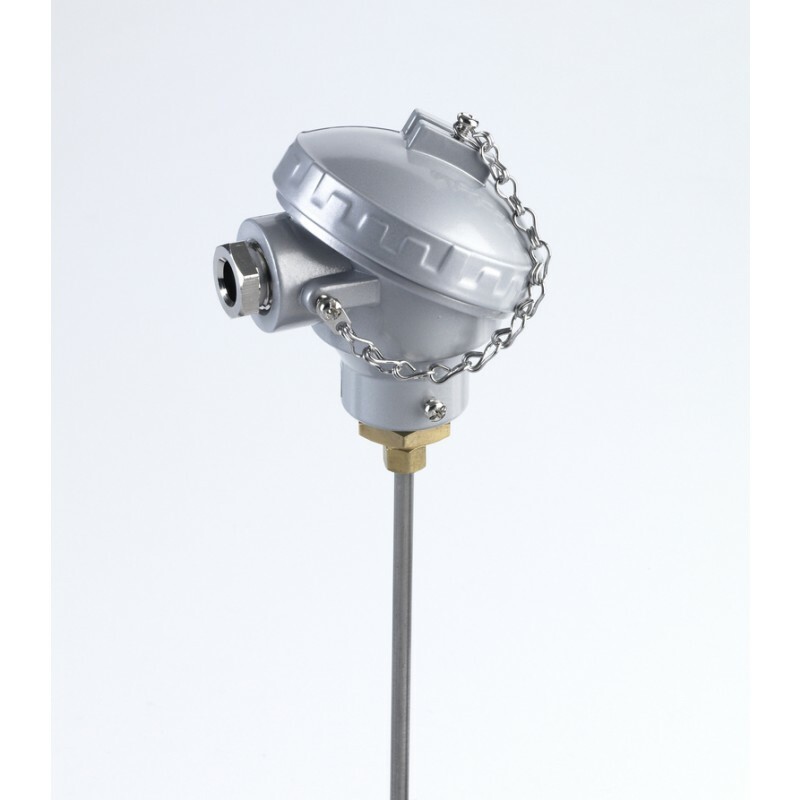 The assembly comes complete with a 33mm ceramic terminal block and a brass compression gland, with a 1⁄4” BSPT process thread, included loose, to allow adjustment of insertion depth. The temperature rating is -50 to +400°C. Should you require a special length or different style of assembly, please contact our technical department.